KEN YUSZKUS/Staff photo. 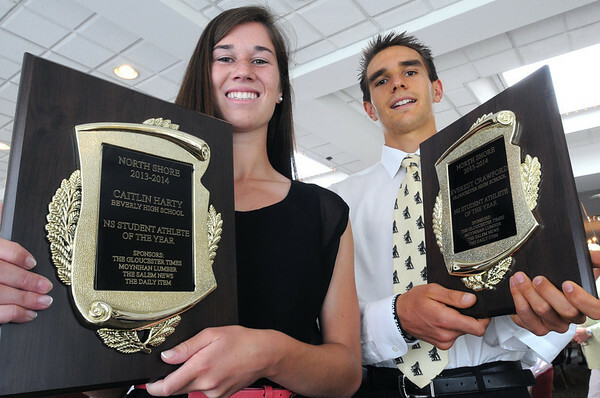 Student-Athlete of the Year winners Caitlin Harty of Beverly High School and Everest Crawford of Gloucester High School hold their awards. 6/10/14.